The 2019 NBA All-Star Weekend is just weeks away. Here’s everything you need to know for All-Star Weekend in Charlotte, North Carolina. In the 2019 NBA All-Star Game, LeBron James and Giannis Antetokounmpo selected as captains for eastern conferences and the west conferences. The 10 starters were selected via a vote combination: 50 percent from fans, 25 percent from players and 25 percent from basketball media. 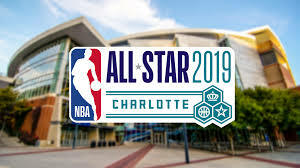 This year’s All-Star game will be the 68th edition, the All-Star game will be on February 17, 2019. The game was supposed to be played in Charlotte in 2017, but was moved to New Orleans because of controversy surrounding the Public Facilities Privacy and Security Act. The game will be televised by TNT for the 17th straight year. During the All-Star Weekend, there is a couple of games including the All-Star Celebrity game that will be held on February 15, on ESPN. Another game that will be going on that weekend is the Rising Stars Challenge and it will be on TNT. On February 16, which is Saturday Dunks,threes, and skills challenge. These fun challenges entertain the fans by showing off the NBA player skills. The last of the All-Star weekend will end with the All-Star game.